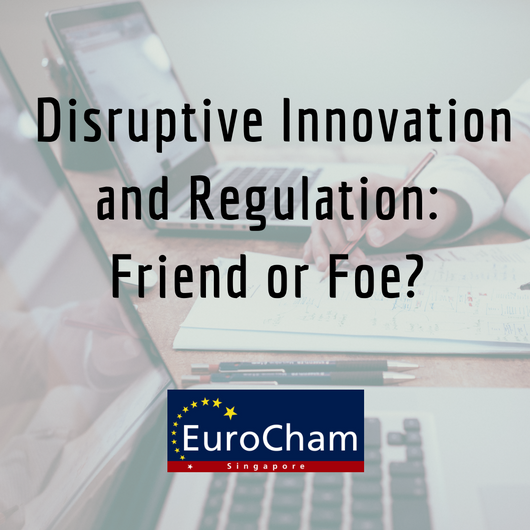 EuroCham Breakfast Talks: Disruptive Innovation and Regulation: Friend or Foe? In the age of the digital economy, technological advances and disruptors play a major role in shaping society. 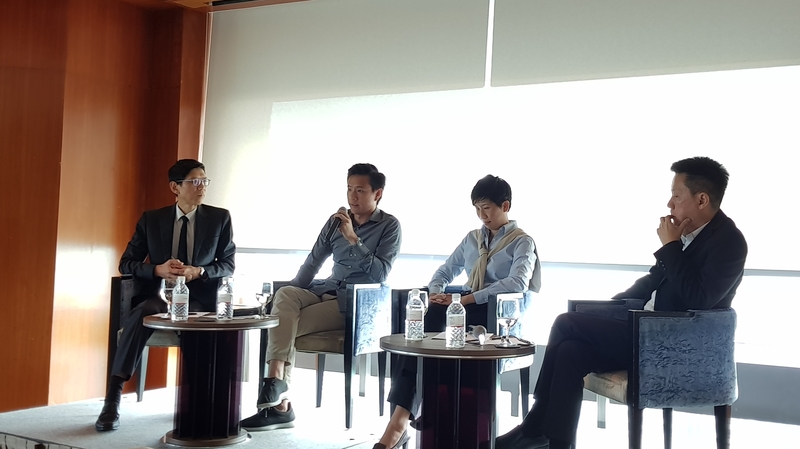 At the breakfast talk with the Warren Tseng, General Manager of Uber, Zann Kwan, CEO of Bitcoin Exchange, and Professor Tan Chorh Chuan of the Ministry of Health discussed how disruptive innovation is a force for good despite industry having to endure some shakeups. The Singapore government in this aspect has been very encouraging towards innovative industries and have reacted positively about the impacts on transportation, banking, and healthcare. After all, as Nele Cornelis, Executive Director of EuroCham having quoted the famed author Amit Kalantri, the “Telephone did not come into existence from the persistent improvement of the postcard”. Disruptive innovation may be the way forward but understanding the perspectives of both the regulator and innovator is important to appreciate the rationale behind certain actions, and that disruptive change cannot be evaluated in a vacuum, nor disregarded. New technologies or business models can profoundly shake the functioning of existing industries and bring societal changes. As the OECD notes, these disruptive innovations can deliver important benefits to competition and consumers and can stimulate innovation and price competition from established providers. However, they can also give rise to legitimate public policy concerns and create demands for regulation. In such an environment, what are the potential market impacts of disruptive innovation, and how are regulators responding? This Breakfast Talk, hosted by the European Chamber of Commerce, brings together industry thought leaders, technology experts and policy makers for a discussion around the impact of disruptive technologies on regulatory and policy objectives and collaborative innovations. Central themes to the discussion will be the potential benefits of disruptive innovation and the role of regulation and its impact of innovation. Panellists will also be addressing the relationship between the technology cycle and the regulatory cycle. Finally, presenters will offer their insights into how, in an increasingly fractured, but also globalized world, the industry can derive the potential benefits of disruptive technology, working in a collaborative way. 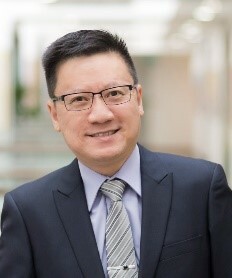 Professor Tan Chorh Chuan is the inaugural Chief Health Scientist and concurrently Executive Director of the Office for Healthcare Transformation the Ministry of Health (MOH). 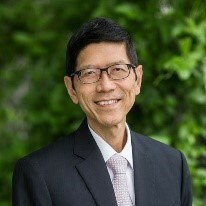 Professor Tan served as President of the National University of Singapore and held the positions of NUS Provost, then Senior Deputy President and Dean of the NUS Faculty of Medicine. He served as the Director of Medical Services (MOH) and as Chief Executive of the National University Health System. Professor Tan was awarded the National Science and Technology Medal (2008), the Public Service Star (2003), the Public Administration Gold Medal (2004); and the Meritorious Service Medal (2015). Other awards include the Albert Schweitzer Gold Medal from the Polish Academy of Medicine; Honorary Doctor of Medicine from King’s College and Honorary Doctor of Science from Duke University. A renal physician, he obtained his medical training at NUS, and research training at the Institute of Molecular Medicine, Oxford. 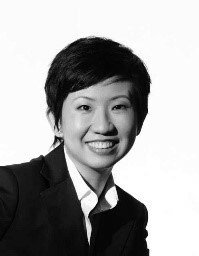 Zann Kwan is the CEO of Bitcoin Exchange Pte Ltd in Singapore. She brings with her 16 years of professional experience in finance and investments before becoming a fintech entrepreneur focusing on Bitcoin and Blockchain Technology. Zann has been featured on the Wall Street Journal, the Straits Times, the Business Times, MyPaper and leading publications on cryptocurrencies. She is a frequent speaker and panelist on forums and seminars on digital currencies. Before founding CoinStreet and Bitcoin Exchange, Zann was Vice President at the Government of Singapore Investment Corporation (GIC) in real estate investment. Zann started her career in financial audit with Arthur Andersen and KPMG in Singapore and the United States. Before moving back to Singapore, she was the Vice President of Acquisitions in Andalex Group in New York City. Zann is a Chartered Financial Analyst (CFA) Charter holder, Chartered Accountant (CA, Singapore) and a Fellow of Chartered Certified Accountant (FCCA). 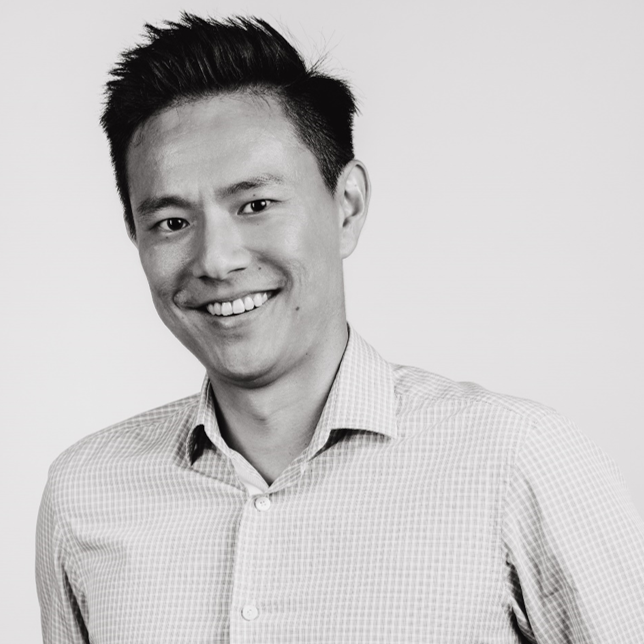 Warren Tseng is currently the General Manager of Uber Singapore and Malaysia. He was previously a South East Asia Launcher building Uber businesses and teams in Singapore, Indonesia and Thailand. Prior to joining Uber, he was an equities sales trader with Credit Suisse Investment Bank based in Hong Kong and Taipei. Warren started his career in the Venture Capital industry investing in startups and helping entrepreneurs commercialize technology. Warren holds an MBA from the MIT Sloan School of Management, a master’s degree in bioengineering from the University of California San Diego, as well as a bachelor’s degree in electrical engineering from the University of California, Los Angeles. Professor David Chan is Professor of Psychology and Director of the Behavioural Sciences Institute at the Singapore Management University and Adjunct Principal Scientist at A*STAR. He has served as Editor or board member on several journals. He is consultant to numerous organizations in the public, private and people sectors on issues involving social and behavioural sciences. Professor Chan is a columnist for The Straits Times, and consultant for Channel NewsAsia on several documentary and programme series. He has received numerous international awards and is the first non-American to receive the Distinguished Early Career Contributions Award from the Society for Industrial and Organizational Psychology and the first scientist in the world to receive Elected Fellow status from all six major international psychology associations. He is a recipient of the Outstanding Volunteer Award, the Special Recognition Honour Award, and the Public Administration (Silver) Medal presented by the President of Singapore.